US ratings board the ESRB has rated Sonic Heroes for the PlayStation 3, suggesting the PlayStation 2 game will finally be making its way to the US PS Store following its release on the European PS Store last February. No official word from SEGA or Sony, but as soon as there is, we’ll be sure to pass on the details. I already got it for gamecube a while ago, so I’m perfectly fine. Sweet! Now all they need to do is release a Sonic 3 compatible with Sonic & Knuckles and a new game and I’ll be all set!!! The “dark era” started at Sonic Adventure. 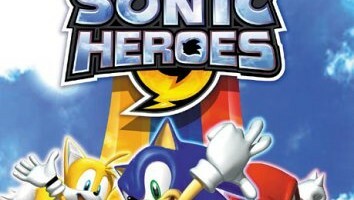 Heroes was like a trying to comeback, but Sony screwed it. Still, it’s better than Sonic Adventure and DX. Awesome, even though I’ll stick with my PC version. I do hope they fix all the glitches though, since the PS2 was by far the worst version before. Will they release it as a PS2 classic? Yeah, it’s likely the PS2 Classic re-release Europe got. 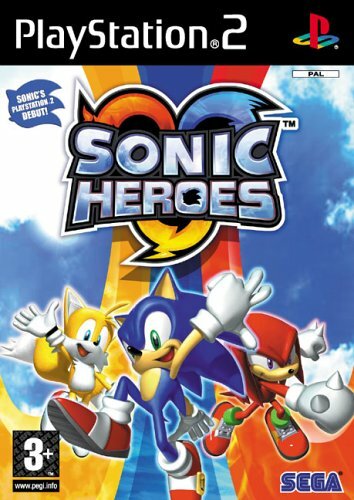 I liked Sonic Heroes, but the PS2 version was poor. They should release the GC/Xbox/PC version and just make it playable with PS3 you know. Same, I really am interested in how the PSN port would turn out. Hopefully Sega would have used the GC version modified (dunno what the Xbox version is like). The X-Box version is like the GC Version, except graphically it looks a little better and has slightly longer loading times. It’s already out on Xbox 360… it’s in the Xbox Originals section. Oh sweet!!!!!! AND IT’S COMING TO PS3!! Cause PS3 rules motha****rs!!! Poor framerate, the worst graphical quality, more laggs than the other versions. Also, the amount of glitches is bigger I believe. Ah I see, I never played any of the other versions. I’d probably notice if I went back to it now. You should really try the NGC version you’ll be blown away after only playing the ps2 version. Hope this comes to Steam! We get almost everything first. Why not let Europe get things first once in a while? I’m not saying Europe should get most things in a while, It’s just that america has so much more than Europe. But I see your point there. I remember reviewers bitching and whining about the difficult controls and me thinking “You can’t be very good at computer games then”. I loved it, it was far more representative of the bat poop crazy Sonic world than any of the adventure games. Already got it on PC and Gamecube. Anyway, this is good for the Americans. this is a good news for ps3 owners like me but one thing i will dislike about this future release is its a ps2 classic so no trophies 🙁 right hog father. Actually, there will be trophies. After all, the Jak and Daxter Collection had trophies for the 3 games, and look at the old Sonic games. They’ve added trophies. So I think it’s safe to say there will be trophies. I’m going to put my Sonic Heroes PS2 disc in my Wii U and stand there until it plays for me. Not the PS version. Didn’t it have clipping issues with springs and such? Ummm, yay? Wait.. PS2 classic? So, not really a full-on re-release like the Sonic Adventure games? O_O Good Lord, that scares me considering how poor the PS2 version is.